Inscribed Mte Generoso/24 July. 1878/ 4.30.P.M. 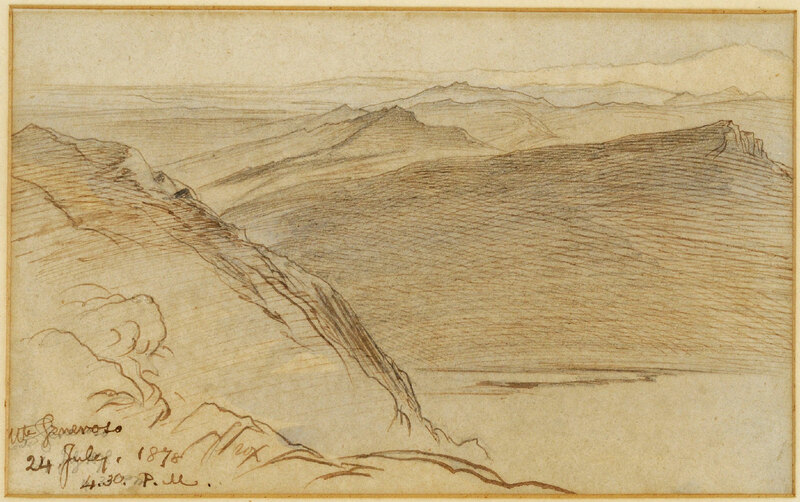 (in ink, over his own pencil inscription), pen and brown ink with blue wash, over traces of pencil. 15.5 x 25.5cm. Lear spent six summers at Monte Generoso on the Swiss/Italian border from 1878 to 1883 and was captivated by the outstanding panoramas that greeted his ever attentive eye. This drawing dates from his first visit.